Chris Evans has topped the list of the BBC's best-paid stars. He made between £2.2m and £2.25m in 2016/2017, while Claudia Winkleman was the highest-paid female celebrity, earning between £450,000 and £500,000. About two-thirds of stars earning more than £150,000 are male, compared to one-third female, according to the BBC annual report. Director general Tony Hall said there was "more to do" on gender and diversity. BBC pay: Who earns what? What will the industry make of star pay? It is the first time the pay of stars earning more than £150,000 has been made public. The BBC has been compelled to reveal the information, including the pay of 96 of its top stars, under the terms of its new Royal Charter. The total bill for the 96 personalities was £28.7m; but the figures in the report reveal large disparities between what men and women are paid. Overall, 25 men on the talent list receive more than £250,000, compared to just nine women. Speaking on LBC Radio, Prime Minister Theresa May said: "We've seen the way the BBC is paying women less for doing the same job... I want women to be paid equally." When asked if Chris Evans was worth 12 of her, Mrs May - who earns about £150,000 - said: "What's important is that the BBC looks at the question of paying men and women the same for doing the same job." "On gender and diversity, the BBC is more diverse than the broadcasting industry and the civil service," Lord Hall said. "We've made progress, but we recognise there is more to do and we are pushing further and faster than any other broadcaster." When asked if female talent working at the BBC would now be asking for pay rises, Lord Hall said: "We will be working carefully on our relationship with our talent." Woman's Hour's Jane Garvey tweeted: "I'm looking forward to presenting @BBCWomansHour today. We'll be discussing #GenderPayGap . As we've done since 1946. Going well, isn't it?" Newsnight presenter Emily Maitlis, who did not appear on the list, retweeted Garvey's message. The annual report contains pay information in bands and does not reveal exact amounts. Nor does it include stars who receive their pay through BBC Worldwide, the corporation's commercial arm. The figures quoted only refer to the amount of licence fee money each person receives and do not include their earnings from other broadcasters or commercial activities. They also exclude stars paid through independent production companies. That means some big name stars - such as David Attenborough, Benedict Cumberbatch and Matt LeBlanc - do not appear on the list. The list also does not distinguish between people who are paid for doing multiple jobs within the BBC and those who are just paid for one. Strictly Come Dancing head judge Len Goodman - who has now left the show - and fellow judge Bruno Tonioli were both in the £200,000-£250,000 band. The show's other judges, Craig Revel Horwood and Darcey Bussell, got between £150,000 and £200,000. Tess Daly, Winkleman's Strictly Come Dancing co-host, was paid between £350,000 and £400,000. Graham Norton earned more than £850,000 but this does not include payments to his production company, which makes The Graham Norton Show and pays him a separate salary. The BBC is alone amongst the UK's major broadcasters in releasing pay details for its on-air and on-screen talent. Talent pay is considerably higher in the commercial sector. 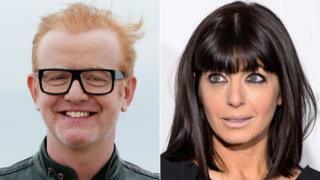 As he left the BBC after his Radio 2 breakfast show on Wednesday, Chris Evans said it was right "on balance" that star salaries were being disclosed. "We are the ultimate public company I think, and therefore it's probably right and proper people know what we get paid," he told reporters. During a briefing on the annual report on Wednesday morning, Lord Hall said: "Chris Evans is presenting the most popular show on the most popular radio network in Europe. "The BBC does not exist in a market on its own where it can set the market rates. "If we are to give the public what they want, then we have to pay for those great presenters and stars." Aside from Strictly, Winkleman's other BBC roles include presenting The Great British Sewing Bee and her Radio 2 Sunday night show. Her agent said she would be making no comment. If you ask experienced people in the world of broadcasting what they think of these salary disclosures, three clear and consistent points are apparent. First, the BBC pays below - and sometimes much below - market rates, both at management level and in terms of top broadcasting talent. Second, this move will prove inflationary. Those on the list will think to themselves: "Why is that inferior presenter getting paid more than me?" - and will demand a pay rise. Third, if you thought it was tin hat time for the talent, pity the poor agents they work with. Read more from Amol here. Casualty star Derek Thompson was the BBC's highest paid actor, receiving between £350,000 and £400,000 over the last financial year. Amanda Mealing, who also stars in Casualty as well as Holby City, was the highest paid actress, receiving between £250,000 and £300,000. Peter Capaldi, the outgoing star of Doctor Who, was paid between £200,000 and £250,000. Clare Balding earned between £150,000 and £200,000 for her work on sports shows including Wimbledon Today and the Rio Olympics. The overall spend on talent was £193.5m - down on the £200m spent in 2015/2016. The figures also showed a decrease - from 109 to 96 - in the number of stars paid more than £150,000. The total spend on stars with salaries of more than £150,000 was also down £5 million on the £31.9 million paid in the previous financial year. 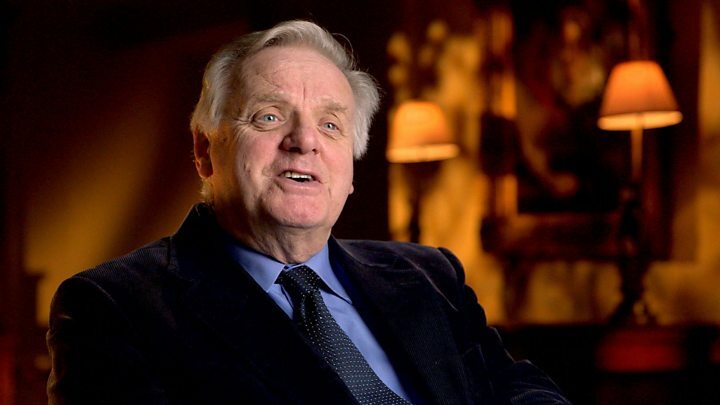 Media captionEx-BBC chairman Lord Grade describes the corporation's disclosure of talent pay as "disturbing"
Speaking on the Today programme, Lord Grade - a former BBC One controller - called the government's insistence that talent pay be disclosed "distasteful and disturbing". "The net result of this is inflation," he said. "Talent salaries and wages will round upwards, they won't go down." Former culture secretary John Whittingdale MP said: "If somebody is earning the equivalent of 1,000 households' licence fees put together… the licence fee payer deserves to know." The annual report showed that the BBC continues to reach 95 percent of UK adults every week. It also said the iPlayer had its most successful year to date, with an average of 246 million requests each month.